An Apostle's Witness is a rare and precious gift in today's world. And the testimony of President Boyd K. Packer, developed over the course of more than fifty years as a General Authority, is filled with wisdom and understanding. "All knowledge is not necessarily of equal value," President Packer reminds us. In this timely book, he speaks of truths that "can be crucial to happiness as well as to exaltation." These are truths "most worth knowing," and they are essential to our progress in mortality and throughout eternity. "The most important truth," writes President Packer, "is, of course, my witness of Jesus Christ." 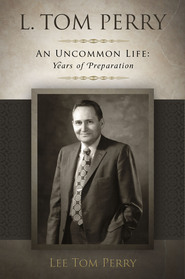 The stories, experiences, and principles he shares in this volume bear powerful witness of that greatest truth of all. What a precious gift we have in this book--especially in light of President Packer's recent passing. So much inspiration and light from a disciple who knew. Beautiful memes throughout make this a wonderful book not only to read, but to look at, and ponder. 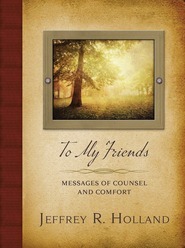 Messages of hope and encouragement fill this book in hopes of filling your heart. Hear his voice and feel of his love each time you pick up this book. "The Witness," April 2014 General Conference. "Who is Jesus Christ?" Ensign, March 2008, 12–19. "I Will Remember Your Sins No More," April 2006 General Conference. "The Gift of the Holy Ghost," Ensign, August 2006, 46–52. "Prayer and Promptings," October 2009, General Conference. "And They Knew It Not," Church Educational System fireside, March 5, 2000, Utah Valley State College. "The 20 Mark Note," New Era, June 2009, 2–6. "A Faithful Heritage," Handcart Pioneer Commemoration Fireside, June 11, 2006, University of Iowa. "The Test," October 2008 General Conference. "Truths Most Worth Knowing," Church Educational System devotional, November 6, 2011, Brigham Young University. "The Foundation of Your Character," Church Educational System fireside, February 2, 2003, Brigham Young University. "Lehi's Dream and You," Ensign, August 2010, 20–25. "How to Survive in Enemy Territory," Fireside commemorating 100 years of seminary, January 22, 2012. "The Key to Spiritual Protection," October 2013 General Conference. "Guided by the Holy Spirit," April 2011 General Conference. "Another Testament of Jesus Christ," October 2001 General Conference. "Plain and Precious Things," April 2005 General Conference.